Sykes Transport has been chosen by CASIO in Japan to help them demonstrate the indestructive nature of their G-Shock watches. CASIO are attempting to smash the Guinness World Record by not smashing the G-Shock watch under the weight of a Sykes Transport truck and trailer combination exceeding 20 tons. 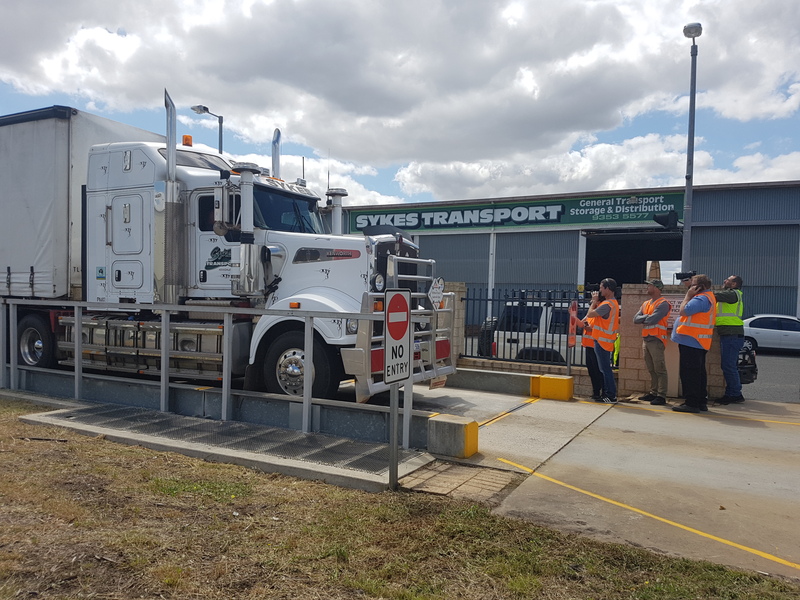 CASIO Japan contacted Sykes Transport to seek collaboration on an attempt to set a Guinness World Record as they were seeking a reputable well organised trucking and logistics company with their own in house fully licensed and certified public weigh bridge. After careful planning and liaison between the two companies CASIO flew their company representatives from Japan to Western Australia for the event. They recruited the services of a professional film crew from the UK (associated with many Red Bull sporting events). The film crew was flown from the UK to Perth to document the event. Having committed significant resources to demonstrate the watches capacity it was important for CASIO to have a professional partner in Sykes Transport with all the right resources. The event was a great success and the watch didn’t smash – you can view the footage here.